We have enjoyed many visits to Cholsey Grange CL but I have yet to spot a trig point in this area. To be honest I have not gone looking, but usually they spring up all over the place. A chat with Ted, the CL owner, fails to shed any light. So it is time to study the OS map to see where the nearest one might be. 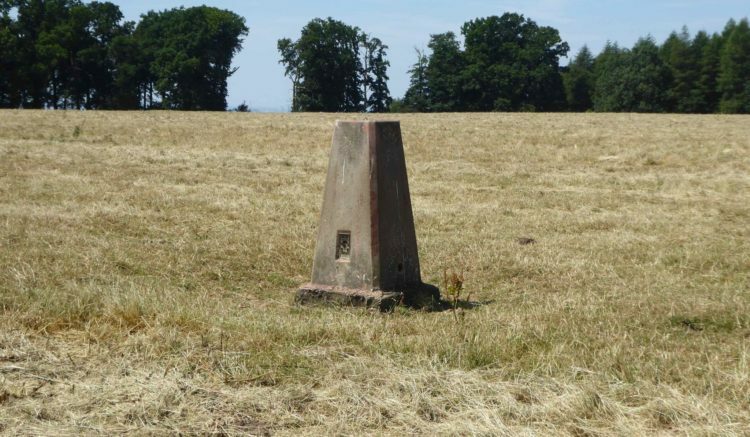 I need to be a bit devious with Lynnie when it comes to trig points, she is always happy to encounter one on a walk, but not over keen on a detour to find one. Today I come up with a Baldrick like cunning plan. 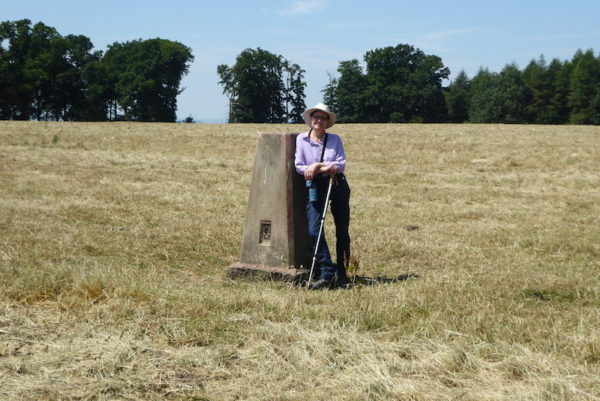 Lynnie likes “new” walks, if I present the walk as covering footpaths she has not previously trod it should be well received and we can just “happen” upon the trig along the way. The only potential downside to my plan is that it is a very hot day. 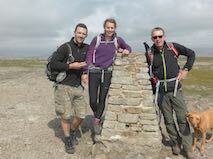 We followed the initial part of this walk last August, on a hot day and Lynnie struggled on a steep incline in the soaring temperatures. Making sure we have plenty of water in the rucksack, for the dogs and us, we set off from Cholsey Grange CL taking the driveway to reach Ibstone Common. After crossing the cricket pitch we pass Hibba’s boundary stone, erected to mark the Millennium in 2000. 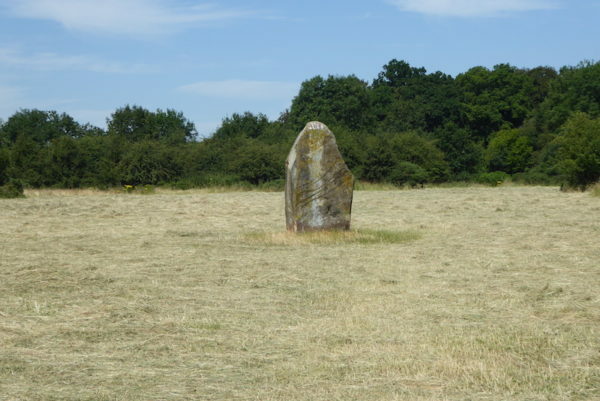 Apparently this village’s name is derived from the Anglo Saxon and means Hibba’s stone, referring to the boundary with Oxfordshire. It is reported that at the time of King Edward the Confessor the village was known as Hibestanes and was in the possession of Tovi the Proud who was the King’s thane, a retainer to the King in Anglo Saxon England or a royal official or constable. Passing the stone we continue diagonally across the common to woodland and join the Chiltern Way by a metal gate. Turning left through the gate we follow the Chiltern Way descending on a chalky path through Commonhill Wood. 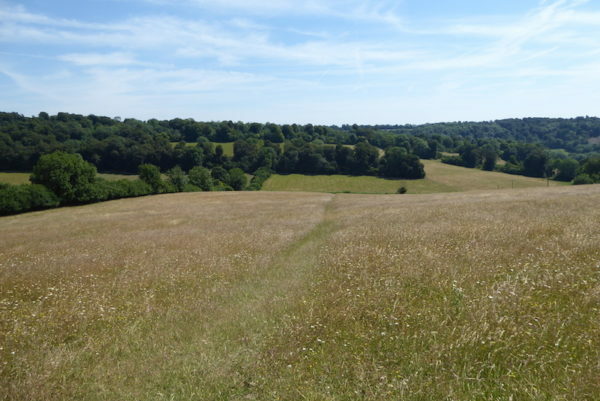 We ignore a turning on our left instead leaving the Chiltern Way we continue downhill through the woods to reach open ground with fine views. 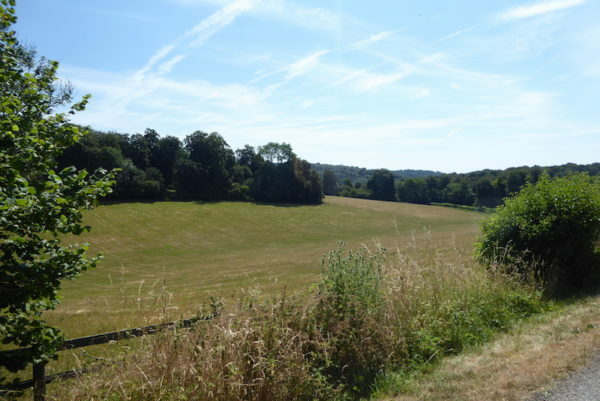 Following a track we soon reach a tarmac lane and follow this past the entrance to the Wormsley Cricket Ground and then past Wellground Farm we turn left along a marked footpath which rises steadily into woodland. After half a mile we meet a crossing of paths and turn left on a way marked path, heading downhill through trees to reach a field of pasture above Lower Vicars Farm. We follow the route through the field and around the house to reach an estate road where we turn left and then very quickly take a footpath on the right. 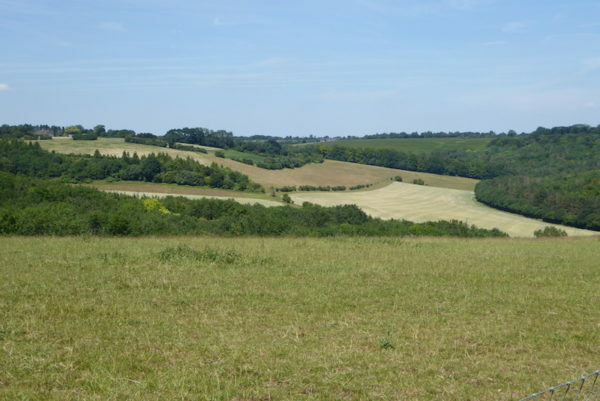 The route now rises across fields to reach the edge of Cowleaze Wood. 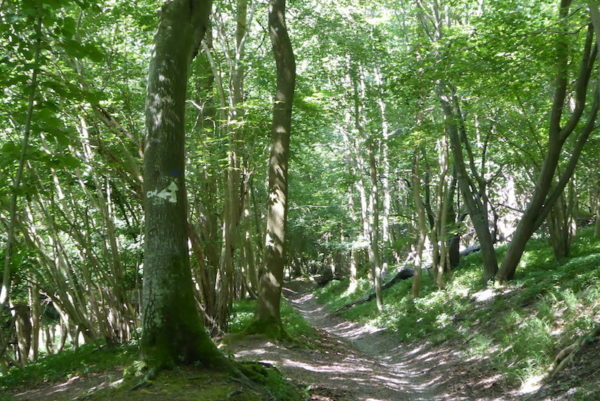 It is a stinking hot day and we are grateful for the shade as we walk through the woods on the well-defined footpath. Going through the woods we discover a network of paths but eventually find our way to a parking area on the western side of the wood. Here we turn left and walk besides the road to reach two footpaths on the right. Ignoring the first leading into Aston Rowant Nature Reserve we take the second leading into a field of pasture. Making a slight detour from the path we walk along the hedge line to visit the trig point. This is the seventy-fifth I have bagged. It is really hot now and Lynnie enquires about the proposed route. 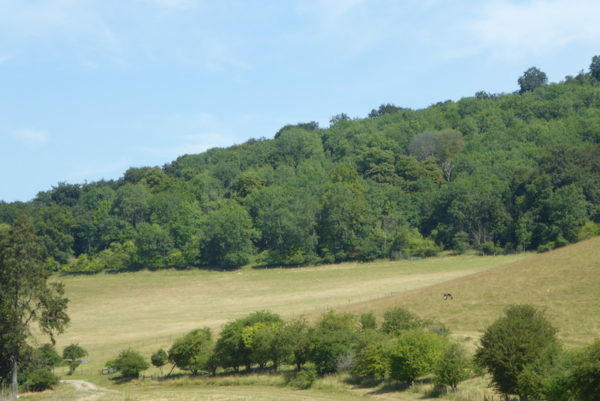 I show her on the map, we will head across this field and then down the hill on the other side before circling round to head back towards Cholsey Grange. The route does not meet with approval, especially as we have now spotted a herd of cows we will have to walk through on the far side of the field. Lynnie suggests an alternative route, turning around and retracing our steps. 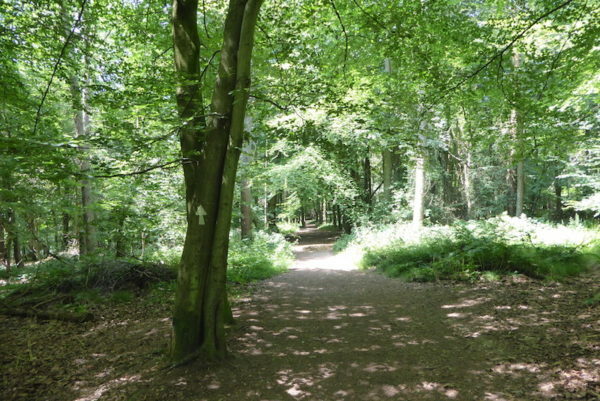 Given the heat this sounds a reasonable idea, so we head back to the road and walk to the car park in Cowleaze Wood. From here we take a path running parallel to the road before sweeping to the right following close to the northern edge of the wood. This eventually joins the path that we had walked earlier. From here we retrace our steps back to Lower Vicars Farm and then onto Wellground Farm. I am not keen on heading back the same way we came, much preferring a circular route, but retracing our steps does give us a chance to enjoy the views that were previously behind us. At Wellground Farm we cross the tarmac estate road and follow a path heading uphill along a track. 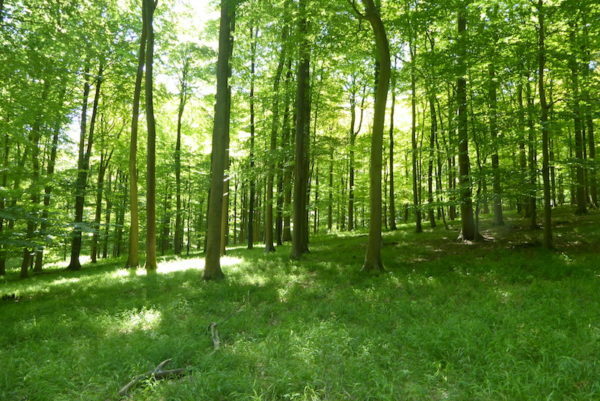 There has recently been forestry work in this area, so we do not benefit from the shade of trees as we head steadily uphill. On reaching the Ibstone Road we cross over to enter the woodland on the far side. We follow a well-worn path through the trees and eventually pick up a path that heads back to the edge of Ibstone village. Here we turn left and walk besides the road to reach Ibstone Common and then back to Cholsey Grange. Our walk has covered eight miles, plenty enough on a hot day like today! Back at Cholsey Grange Lynnie packs up her bits and pieces. 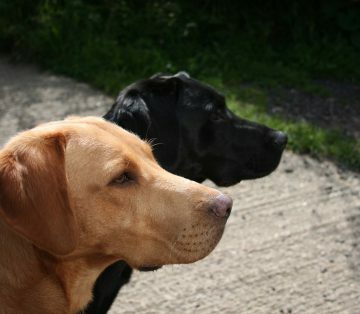 Tomorrow she is heading home with Dexter, whilst Crosby and I fly solo for a couple of weeks heading to the Shropshire border in a few days time. So before Lynnie departs she needs to be sure I know all the things to do to maintain “her” caravan to an acceptable standard!